With more than 160 local chapters serving over 8,600 matches, how effective is TeamMates mentoring in improving the lives of each student? Explore the two sections below to see how TeamMates students see improvements in their personal and school lives. TeamMates is dedicated to providing mentoring for students in order to improve their hope and engagement, thus positively impacting their overall wellbeing and academic success. Hope: The ideas and energy students have for the future. Hopeful students are more likely to be energetic, have a positive mindset, and believe they have the power to make the future better than the present. Engagement: The student’s level of involvement in enthusiasm for school. Engaged students often feel their schoolwork is important and they have the opportunity to do their best every day. Wellbeing: How students assess their current lives and how they feel their lives will be in the future. Students with a higher wellbeing tend to have postive thoughts of their present and future lives, good health, and strong social connections. Data collected through the Gallup Strengths project has demonstrated the positive impact of TeamMates, a strengths-based mentoring program. Mentees who received strengths training as a part of their mentoring were more likely looked forward to spending time with their mentor than those who did not. Why does this matter? TeamMates mentees who look forward to seeing his or her mentor have higher levels of hope, engagement in school, and overall well-being. To learn more about the impact TeamMates mentors have on their mentees’ levels of hope, engagement in school, and well-being, check out the Gallup Student Poll study. To learn why giving your time is one of the most valuable things you can do for a young person, check out The Gift of Time: Why Your Time Matters. The impact of a TeamMates mentor on the mentee is profound, with the majority seeing improvements in their academic performance and a reduction in the number of unexcused absences and disciplinary referrals. The Business Case for Mentoring: Discusses private sector engagement in youth mentoring and the benefits from intersecting education, business, and community (MENTOR, 2015). Don’t Quit on Me: Examines, from the perspective of young people themselves, the roles that relationships with adults and peers play in decisions about staying in, leaving, and returning to high school (Center for Promise, 2015). Benefits of Serving as a Mentor: A study that highlights the benefits mentors gain in their career (Chronicle of Evidence-Based Mentoring, 2014). The Mentoring Effect: Studies young people’s perspectives on the outcomes and availability of mentoring (MENTOR, 2014). Don’t Call them Dropouts: Research that provides reasons why many young people do not finish high school on the traditional four-year timeline (America’s Promise Alliance, 2014). Bounce Back: A TIME article about improving resilience to overcome every-day setbacks (TIME Magazine, 2015). Americans Serving Their Communities Gain Well-Being Edge: A discussion of how Americans who actively work to better their communities have a higher overall well-being (Gallup, 2014). 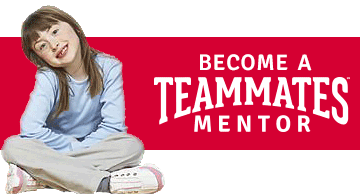 What is Youth Mentoring? : A short definition of youth mentoring and the role of mentors in mentoring partnerships (MENTOR, 2013). The Science of Resilience: A brief study of how using resilience to reduce the effects of adversity on young children is critical to society (Center on the Developing Child, 2015). The full length article can be found here. Analyzing the Social Return on Investment in Youth Mentoring Programs: A quantification of the effect of youth mentoring programs on society in economic terms (Wilder Research, 2007). Mentoring Programs Affect Delinquency: Studies the effect of mentoring processes on youth at risk for delinquency and other associated outcomes, including aggression, drug use, academics, etc. (Springer Science, 2013). TeamMates Gallup Student Poll Research: Studies the influence of strengths-based mentoring on student engagement (2011). 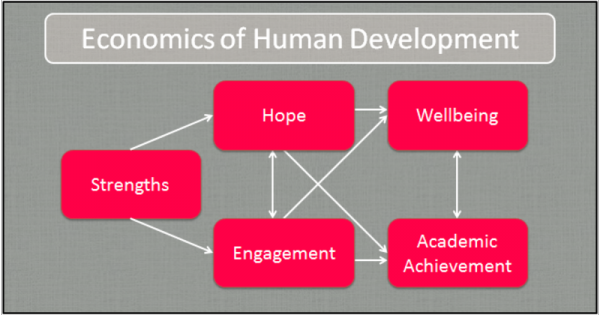 Impact of Strengths-Based Mentoring on Student Hope, Engagement, and Wellbeing: Addresses questions about the impact of strength-based mentoring on student hope, engagement, wellbeing, self-efficacy, and perceptions of their mentor (Calderon, 2011). Mentoring A Parent-Community Partnership that Works: Explains how the TeamMates program has most directly benefited students and their families and explores additional work and family benefits for mentors (2011). Developing a Student Mentoring Program Building Connections for Students: Describes the development and implementation of an adult-student mentoring program, identifies some cautions, and provides specific direction for program support (Dappen & Isernhagen, 2005). Perceptions of Gender Differences in a Statewide Mentoring Program: A study of TeamMates to prove or disprove if the gender of some students would limit the success of mentoring programs (Dappen & Isernhagen, 2004-2005). For additional research on mentoring, please visit this list of sites and sources or look at more resources directed towards schools or donors.